Product prices and availability are accurate as of 2019-04-20 16:24:25 UTC and are subject to change. Any price and availability information displayed on http://www.amazon.com/ at the time of purchase will apply to the purchase of this product. 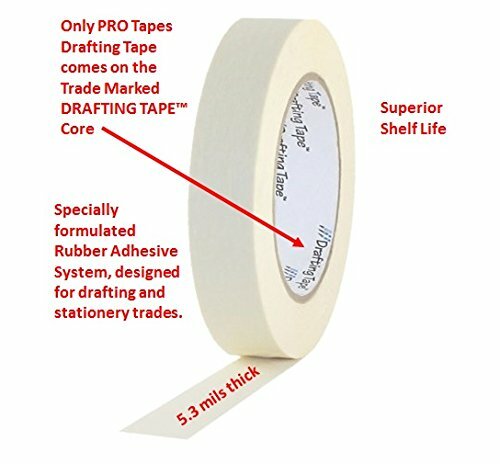 Pro draft tape is an industrial grade masking tape with specially formulated adhesive system, designed for the drafting and stationary trades. 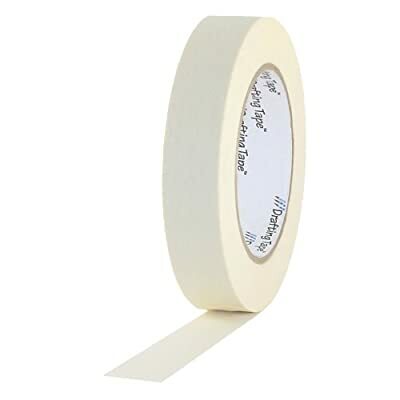 A tack industrial grade masking tape with specially formulated adhesive system, designed for the drafting and stationary trades. It minimizes residues and resists water solvents and oil and has an excellent shelf-life. Not designed or guaranteed for exacting industrial masking spray, painting or oven baking applications. Minimizes residues. Resists water solvents and oil. Excellent shelf-life. Specially designed for stationary trades. Features: short term, high temperature resistance, clean removal, repositionable, hand tearable, weather resistant. Applicable for drafting, chart tape, temporary holding. Pro Artist tape-premium flatback paper tape. Used for color coding, labeling. Printable with: flexo inks, markers, pens and pencils. Repositionable, clean removal, leaves no residue, easy unwind and high edge tear resistance. Specifications: ASTM D6123/D6123M-07, Type II. ASTM D-4236. Features: printable, short term and high temperature resistance. Repositionable, hand tearable. Creped paper backing material. Synthetic rubber adhesive material. 23 pounds per inch tensile strength. 18-ounces per inch peel adhesion. Measures 60-yards length by 3/4-inches width by 5.3 mils thickness.